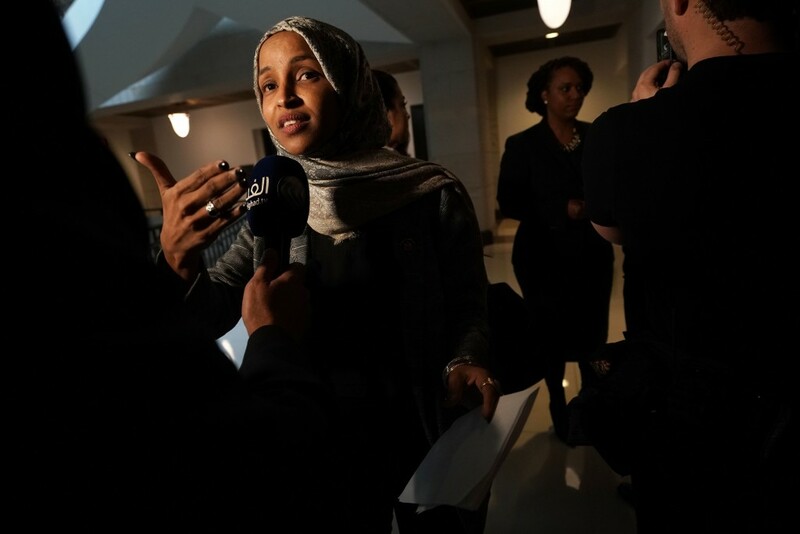 Nearly four decades later, as members of the U.S. political and media classes pile onto Omar, are the rest of us supposed to pretend that AIPAC officials never said or did any of this? And are we also expected to forget that Tom Friedman of the New York Times, a long-standing advocate for Israel in the American media, once described the standing ovations received by Israeli Prime Minister Benjamin Netanyahu, from members of Congress, as having been “bought and paid for by the Israel lobby”? Or that Goldberg, now editor-in-chief of The Atlantic and dubbed “the most influential journalist/blogger on matters related to Israel,” called AIPAC a “leviathan among lobbies, as influential in its sphere as the National Rifle Association and the American Association of Retired Persons are in theirs”? Or that J.J. Goldberg, former editor of the Jewish weekly newspaper, The Forward, said in 2002, in reference to AIPAC, “There is this image in Congress that you don’t cross these people or they take you down”? Are we supposed to dismiss Uri Avnery, the late Israeli peace activist and one-time member of the Zionist paramilitary, the Irgun, who once remarked that if AIPAC “were to table a resolution abolishing the Ten Commandments, 80 senators and 300 congressmen would sign it at once,” as a Jew-hater? Or label Jane Harman, the ex-congresswoman and devoted defender of Israel, who told CNN in 2013 that her former colleagues on Capitol Hill had struggled to back Barack Obama’s Iran nuclear diplomacy due to “big parts of the pro-Israel lobby in the United States being against it, the country of Israel being against it. That’s a stiff hill to climb,” an anti-Semite? Do they have no shame? Take Donna Shalala, new member of Congress from Florida’s 27th district (and a former cabinet member under Bill Clinton). The post There Is a Taboo Against Criticizing AIPAC — and Ilhan Omar Just Destroyed It appeared first on The Intercept.